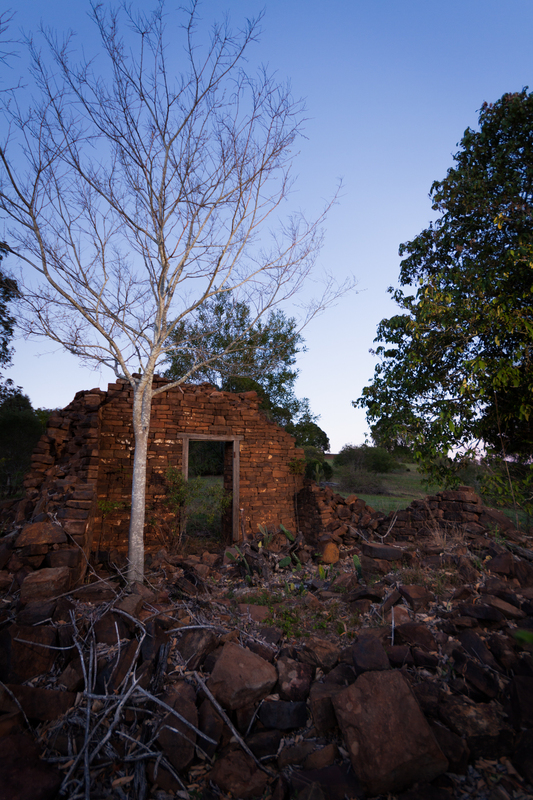 A photo of an abandoned farm house tucked into the foothills of Mount Maroon. There is only one wall still standing but it’s about half a metre thick! Used an external flash with an orange gel to bring out the colour in the stonework and contrast it with the blue morning sky.